Whittemore Home Improvement, located in Carver, Mass., has been serving the South Shore and Cape Cod for over thirty five years. Mark and Darlene Whittemore are with you from the first contact until the last day on the job. In home Consultations are provided by the owner, Mark Whittemore, himself – No sales gimmicks or high pressure tactics involved! We provide solutions to help you beautify your home with low maintenance for years to come. When choosing New England Exteriors, you choose reliability, honesty and quality. We can back that up with over 20+ years experience. New England Exteriors will take care of all your exterior needs including Vinyl Siding, Replacement Windows, Roofing and Decks. We are located in Bellingham MA. Your satisfaction is our top priority. Companies who manufacture construction products do not build in capable and trustworthy installers. Even the best products can suffer if the installation is not performed with skill and precision. New England Exteriors has earned a reputation for uncompromising quality in installation. 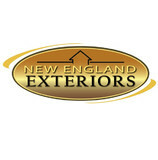 You will have the comfort of knowing you will deal directly with Wayne Flanagan, Owner of New England Exteriors. Superior Siding Services has your project covered! Whether you’re looking for a maintenance free solution or cedar shakes we have a siding solution for you. Precision Door & Window Inc.
We understand that choosing the right contracting company can make all the difference in both the construction process and the final result of your home and commercial building improvements. As your preferred contractor, Above All Roofing & Construction specializing in Roofing, Siding, Replacement Windows, Doors, Decks, Sunrooms, Bathroom Remodeling, Kitchen Remodeling, Basement Finishing & Much More... Our objective is to exceed your expectations with superior customer service, unsurpassed craftsmanship and technique, while installing the highest quality of products at competitive prices. We understand that our reputation is built upon every job, therefore, we use only the finest quality of materials available. Our preferred selection of products is solely based upon the quality and warranty of materials marketed. A exterior owner operated home improvement company specializing in quality vinyl siding , fiber cement siding ,replacement windows ,entry doors and seamless gutters installation . Owned and operated by David Downey, Roncap Company took its first breath in 1971. It began when my father, Ron Caponigro, took a leave of absence from his job at A. Caponigro, in effort to achieve the American dream. He purchased two tenement houses, in Attleboro, and set out as a rental property owner. He used the time to completely remodel both houses. After 20 years at A. Caponigro, he was well equipped to succeed at this venture. He started as early as 12 years old at A. Cap, sorting nails purchased in bulk, by his father. By the age of 16 he was moving around house lots preparing the sites for house foundations. With a natural talent, over the years, he moved effortlessly through all stages of home building, from framing to finish work, even assisting with building chimneys on homes. My Dad fondly recalls when much more of a home was built by on-staff carpenters. Aluminum siding made its debut in this area about the same time we did. Although the concept was very new, Roncap Company was one of the few installers in the area for the product. It wasn’t long before the product was improved and vinyl Siding stole the market for residential applications. Vinyl was better able to mold a wood-grain look into its panels. Homes were remodeled with new products that looked as good as the day they were installed for many years to come, with little maintenance. Popularity soared and soon vinyl was the preferred application for even new construction. With quality craftsmanship, Roncap Company carved a place in the remodeling market, installing vinyl siding, vinyl replacement windows, roofing and decks. The community came to recognize our name as a respected contractor. With attention to detail we provide the best in outdoor home improvement. Over 15 years experience. About Lct Construction Services Inc Need a replacement roof? Vinyl Siding ? Rubber roof ? Trust our professionals for quality services at affordable prices. Lct Construction & Services Inc located in Hopedale MA , our experts have over 10 years of experience with the repair, replacement and complete installation of roofing and vinyl siding. We are a local business servicing Hopedale, Sudbury and Worcester, MA. 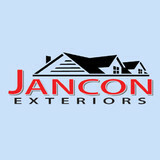 We specialize in both residential and commercial roofing and siding. If you need new gutters installed, we specialize in those too! From vinyl gutters to aluminum downspouts, we have the perfect options for your building. If your gutters are clogged with debris or ice, depend on us to clear them so they can properly protect your structure. The experienced and licensed crew at Lct Construction & Services Inc guarantees your complete satisfaction. We do not pass your job off to subcontractors by outsourcing your job. Instead we are with you every step of the way, making sure everything goes smoothly. After all, we are not happy unless you are so you can expect quality craftsmanship and products. When you start with us, you finish with us! We also specialize in vinyl siding, seamless gutters, Rubber Roof ,and snow removal. Lct Construction is your top choice so call today! Call LCT Construction & Services Inc today at 508-488-6639 ! With more than 30 years of experience, Lifetime Home Improvement has become an industry leader in Vinyl Replacement Windows, Premium Vinyl Siding, and Doors. What types of siding services do Narragansett Pier exterior contractors provide? Wood siding needs more maintenance than less-expensive, low-maintenance vinyl siding, but with proper care it will outlast vinyl siding, which can fade and crack over time. Your Narragansett Pier, RI contractor might also suggest fiber cement siding, which is fire resistant and termite-proof and can come with a warranty of up to 50 years. 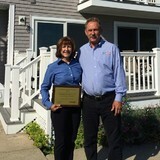 Find siding and exterior contractors in Narragansett Pier, RI on Houzz. 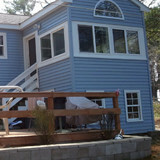 Narrow your search in the Professionals section to Narragansett Pier, RI siding and exterior contractors. Find out how long a Narragansett Pier, RI exterior remodeling contractor has been in business, view portfolios, read reviews and get contact information.